EBA was present in the 7th edition of the EXPOBIOGAZ exhibition in Strasbourg on 6 and 7 June . Biogas has a great potential in France and activities such as EXPOBIOGAZ help raise awareness on the opportunities of this renewable energy. 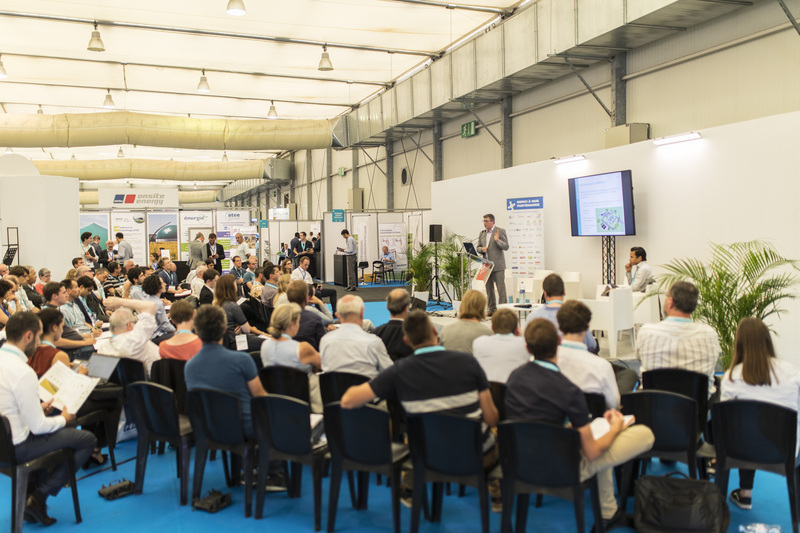 Considered the benchmark nationwide exhibition for the whole of the sector in France, this edition brought together farmers, local authorities, agri-food industries, waste processing or transport and energy industries, among other stakeholders. The success of this Strasbourg edition was partly due to the many exhibition highlights, including site visits, conferences and multiple workshops. Visitors had the opportunity to exchange views and information on anaerobic digestion plant manufacturing, digestate value recovery solutions, after-sales and maintenance issues, equipments supply, gas injection, CHP, NGV builders and converters, etc. 3,653 professionals from 30 different countries visited the premises, that this year counted on the presence of 221 exhibitors. According to the organisers, 35% of all exhibitors came from outside France, mostly from Germany, Austria, Belgium, Spain, Italy, and Finland, as well as from far-flung territories like Canada, the USA and Tunisia. Our colleague Francois Troussier, the representative of EBA’s stand at EXPOBIOGAZ 2018, explained visitors how EBA cooperates with national organisations and other stakeholders to increase the visibility and the potential of biogas at EU level. Stay tuned for the next edition of EXPOBIOGAZ on 12-13 June in Lille!